The GsmControl is a self-contained intelligent monitoring device with two digital or analog inputs and two relay outputs that can be activated remotely via SMS messages or a simple “ring” command. The GsmControl+ can inform you of alarm states of remote, unmanned equipment. You can then remotely control your process via your mobile or landline phone. 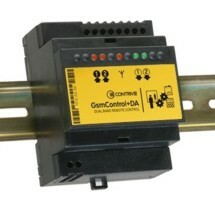 Two SPST contacts are available to control the appliance or process. 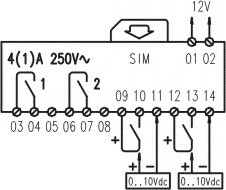 Two digital or analog inputs can be used to monitor the local process or appliance. Connect the contact on the supply line of the loads to be controlled. Alerts can be issued to predefined recipients (up to 100) when input status changes from open to close and/or vice-versa. Alerts can be issued to predefined recipients (up to 100) when input voltage raises above or falls below predefined settings.